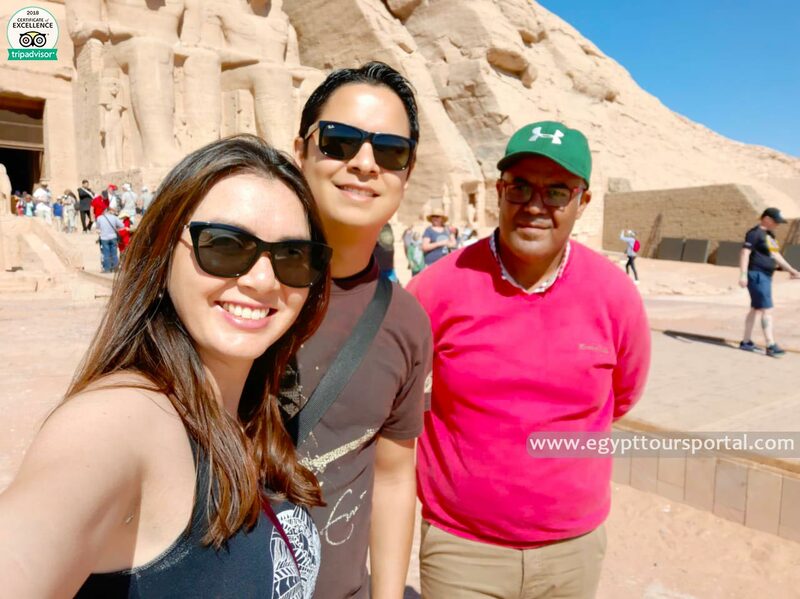 Our two days Aswan & Abu Simbel tours from El Gouna is your chance to discover the top of Egypt tourist attractions in the Nubian city of Aswan. enjoy private tours to upper Egypt to enjoy visiting the High Dam, the Unfished Oblesik, the stunning Philae temple and have an unforgettable overnight accommodation at 5* hotel in Aswan, then explore the breathtakingly two temples of Abu Simbel to witness the greatest of ancient Egypt civilization, then back to your hotel in El Gouna. Pick up service from your hotel in El Gouna and return. Egyptologist tour guides during the day trips. Entrance fees to the mentioned historical places. All transfers by a modern air-conditioned vehicle. Train tickets from Luxor to Aswan and return. Mineral water on board your vehicle. One Night accommodation in Aswan at 5* Hotel. 2 Lunch meals in Aswan . Philae temple dedicated to deity Isis of Love and beauty. The temple complex was dismantled and relocated to nearby Agilkia Island as part of the UNESCO Nubia Campaign project, protecting this and other complexes before the 1970 completion of the Aswan High Dam. Then you will have your lunch and check in 5* hotel / Nile cruise. The two Temples of Abu Simbel, with their unique style, are considered to be the masterpieces of ancient Egypt. They reflect the glory and grandeur of Egypt new Kingdom. Two massive rock temples in Abu Simbel. The twin temples were originally carved out of the mountainside during the reign of Pharaoh Ramses II in the 13th century BC, as a lasting monument to himself and his queen Nefertari, to commemorate his victory at the Battle of Kadesh. Then return back to Aswan to have your lunch then catch the train to Luxor then transfer by car to your hotel to end your Aswan & Abu Simbel tours from El Gouna. If you didn’t find what you are looking for, then check our El Gouna excursions and choose your breathtaking tour, or plan your trip as you wish by contacting us via Egypt tailor-made holidays.